Extremely rare and difficult to acquire, the Magical Miscellany was created, edited and printed by Al Munroe, a wily old Detroit newspaperman. He had been around magic and magicians for many years and started divulging his trove of fascinating information in its pages. Well over 650 pages of fascinating stories on a variety of topics including: Harry Kellar’s beard, T. Nelson Downs, waffles, The Wrestling Cheese, the intriguing story of the sailor and the baboon, Herrmann, Frikell, Eugene Laurant, Silent Mora, Dr. Elliott, and much more…including some of Al Munroe’s favorite recipes! This amazing book is the product of years of work and we are very happy with the results. After acquiring what might be the most complete file of Munroe’s Magical Miscellany Conjuring Arts carefully scanned each and every page and due to how Munroe printed them in the first place legibility was an issue so we then started the long and arduous task of transcribing the text. Once that monumental task was completed by David Roth we asked Mike Caveney to edit it and do the layout. The final product is a phone book sized work with all new information that you cannot find any other place. We printed it offset on archival paper and used a fine cloth for binding and silver foil to stamp the title on the binding. We have only produced 300 of these and when they are gone we will not reprint them. 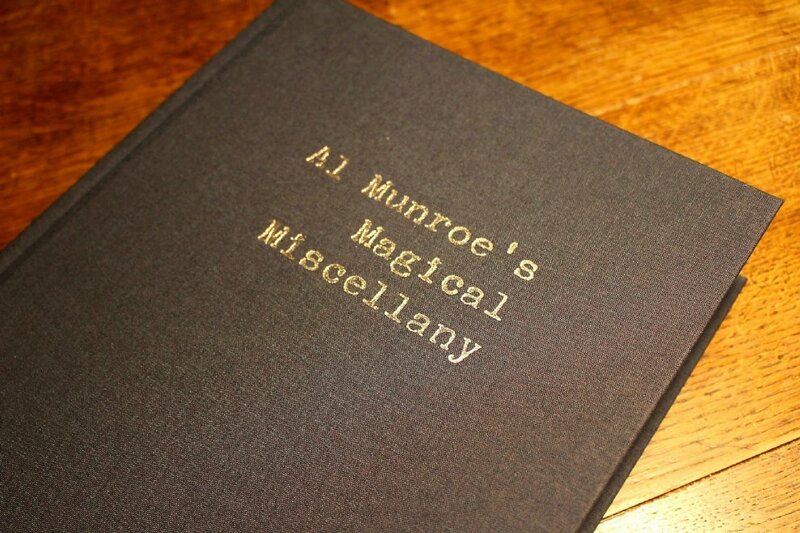 Al Munroe’s Magical Miscellany can be purchased HERE.